Hardik Patel, leader of Patidar Kote, is bound to be in a marriage bond. They will be married in Surendranagar on January 26-27. According to the information, the wedding program will be very simple. Hardik’s father Bharat Patel and his close friend Nikhil Savani confirmed this. 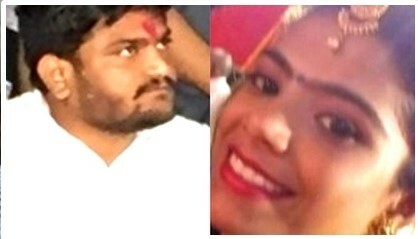 Hardik Patel, 25, is going to marry from Kunjal Patel. For one or two years, from the heart of the heart, the smallest angle is essentially residing in Veeramgam and his family is now living in Surat. Hardik is also a resident of Chandan Nagari, a village in Viramgam district of Ahmedabad district. On the one hand, while Hardik could not speak on this issue, his father said, “Yes, both of them will be married in Diggers village of Surendranagar district on 27th January.” Hardik’s father said that although his family wanted him to be in Umiya Dham located in Ujja, but the court has banned entry of Hardik’s Ujjah. According to Bharat Patel, Kinjal Patel belongs to the Parikh-Patel community. Kinjal has studied till graduation and is currently studying law.